Reach: Your work for children's books are a visual feast in the manner of old paintings of scenes that engage kids to look for hidden meanings and browse through all the little details, like that old Saturday morning paper visual puzzle game where you find hidden objects, is this a conscious design choice? Mike Wilks: Not so much a conscious choice as a reflection of the richness I see in the world around me. All art is based on observation. My reality is as much inside my imagination as in the outside world and that gets mixed in with the image. I rely on skill and technique to bind everything together. Reach: You are a fan of grotesque artists like Escher and Hieronymous Bosch, and most of your paintings have some level of optical illusions built in. 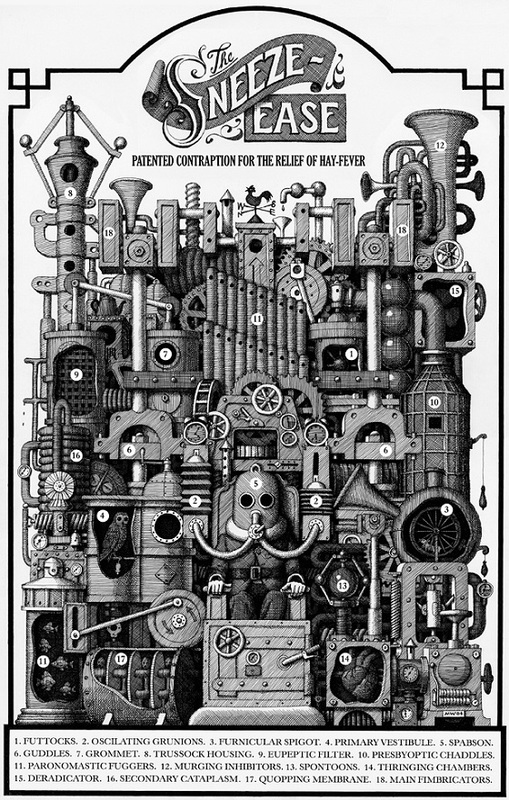 If I were a designer who wanted to play with grotesque and design visual illusion puzzles, what technical advice would you give to those to have the same craft you exhibit in your own designs?-For both a novice designer and a seasoned pro for putting together the elements of such themes. Mike Wilks: Copy. By that I don’t mean copy to imitate or to attempt to pass it off as original work but copy the work of a master as a method of finding out just how they constructed their work. In the era I was at art school, the 1960s, copying was a recognized way of gaining insight into an artist’s technique. It was how the old masters learnt their craft so copying has a long and impeccable pedigree. Also, bear in mind that a work of art can never be a failure if you learn something from it. You will only succeed every time if you never try anything new. Use what you learn from your so-called failures to enrich the next work you create. Reach: The Ultimate Alphabet may be your hallmark picture book (for fans of your work as a graphic designer). I love the book for being whimsically detailed yet rendered at a master painter level painting. 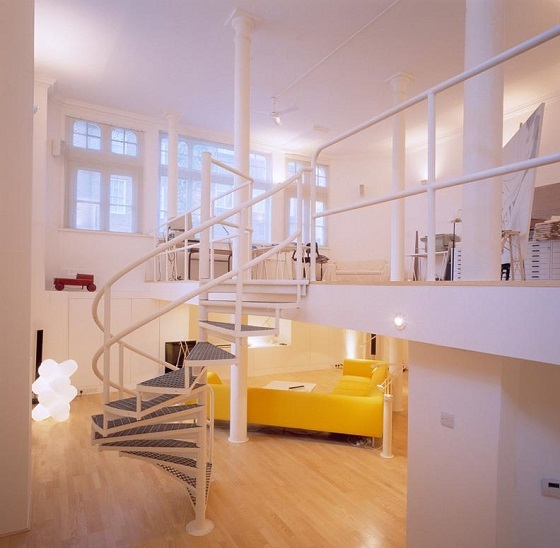 Your paintings would not look out of place in a high art museum as they look as stunning in a children's picture book. How do your fans react to this book, as kids when they first get the book, and then as older kids or even adults who hand it down as an heirloom to their own kids? Mike Wilks: I think we all have books and works of art that grabbed us when we were younger. It’s quite humbling to think that my books and pictures might have touched people in a similar way. I think that the fans that really get inside my work have something of the same obsessive nature as I do. When they revisit my works they frequently find details that they missed the first time around. If my work has a secret ingredient, that’s it. Reach: Some of your picture book paintings and drawings have been made into giant puzzles by Pomengranate, a hobby brand for designer puzzles. Are designer puzzles something like coloring books for adults these days, or have they always been a niche hobby for artiste fans? What do fans of designer puzzles tell you about their fetish, and do they ever tell you they buy two copies of a puzzle, one for keeps and one for playing with? 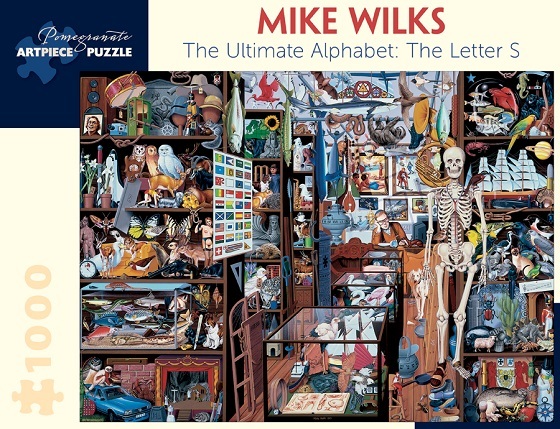 Mike Wilks: None of my pictures were ever intended to be jigsaw puzzles but I am pleased to see they have acquired a kind of second life in this way. Personally, I have neither the inclination nor patience to assemble a jigsaw puzzle. I don’t know where people find the time for this. 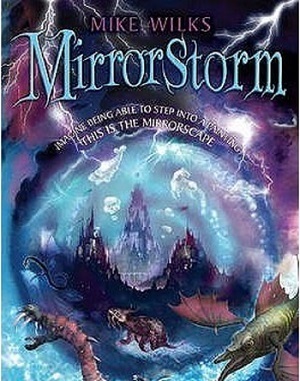 Reach: I checked out one of your books, Mirrorstorm, because the blurb and cover were eye-catching and interesting idea, of a fantasy realm where one crosses over, but the writing was a bit toned down for a particular YA age reading level. However, I did notice that the book as is a great entry level reading material for foreigners who are non-native English speakers since it does present easy to follow narrative and descriptions as well as character dialogue, in a setting that is interesting and allow non-native English speakers to get a feel for how a story is put together in English. In other words, it makes for a great learning tool for the gadzooks number of Asians and Europeans wanting to learn how to read, write and speak English as a second language. Have you considered pushing the book as a learning tool for non-native English speakers and as a jump on point to more complex and nuanced English language reading material? It would open up new markets for your work too. Mike Wilks: I am always surprised – and more than a little delighted – when any of my works are repurposed in ways I never expected or intended. I once found one of my pictures reproduced inside a standard text book that French students used to learn English. I never plan for my works to be anything other that what they are. Whatever I work on my intention is to have fun and to see what happens. For me art is a form of play and exploration. When something I am working on stops being fun it’s a sure sign that I’m doing something wrong. At that point I usually abandon whatever it is. Ideas arrive unannounced, at unlikely times and in surprising places. Their sudden arrival can make me jump. Some ideas work better written down and others work better as images. Reach: In the age when painting was a craft driven by telling stories off building a scene or scenes together, with details for characters and subplots, to mood pieces, most post modern paintings have veered away from that design motif. Do you still work off storytelling as a design motif and can you give novice and seasoned artists advice for tricks of the trade that you've learned from designing a series of images where each painting has a story and the collection of paintings have to keep a theme or mood consistent or jarring but in sync with each other? Mike Wilks: Subject matter and style are unique for every artist. It’s whatever feels right for you. If you listen to it the work will usually tell you where it wants to go. It is unwise to try and force an idea into something it’s not. There are no tricks involved. Reach: Digital art is its own monster and its own learning trap. Without a computer, a digital artist is like a coaster. As an artist who trained with traditional art materials you actually hold and paints that you mix and put on canvass and wait to dry before finishing each phase of painting, how important is it for today's artist to have those skills and not just be stuck with digital art skills? From sketching and pen-and-ink, to paintbrush painting skills, kids these days can afford to make mistakes on the computer but on a canvass or art board, an illustrator must take painstaking care to avoid mistakes on their work area or start over again. Mike Wilks: That question made me smile. My pictures are littered with mistakes and errors. Part of the craft of drawing and painting is learning how to erase mistakes or disguise them if you can’t. And mistakes can often be turned into something delightful and take the image or story in a direction all of its own. That element of serendipity is probably the part of creativity I enjoy the most. Also bear in mind that I frequently abandon pictures that are not working and even those that I finish are destroyed if I am unhappy with the end result. Digital media has a tendency to homogenize and make everything look the same. My advice would be to use digital media sparingly and with caution. Reach: Brits have a sense of humor and a chip on their shoulder that is often taken as peculiar by other English speaking societies and cultures. I'm a big fan of your country's black humor and biting wit. Do you have paintings where you have something funny going on or a sequence of images that show an inside joke or some satirical theme? Give us sample image if possible, Mike? Mike Wilks: Here’s some English humour for you. Reach: Thank you Mike for granting us this special interview and we hope to have more childrens books and novels coming from you.